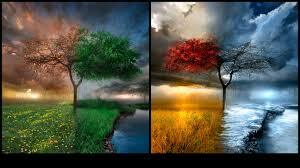 Enjoyed reading your take on the seasons and how they make you feel. It’s nice to read what another human being has shared openly and honestly about their life. After seeing your story on CNN many months ago, I thought about you today. The one thing I remember most about your story is the comment your sister made about how kind and thoughtful you are. Those are my two most favorite qualities in a person, and all too rare. So I wanted to ask how your life has changed after becoming famous and having your story told round the world? Has it taken you to new places? Given you new experiences? Or changed your world view or perceptions in some way? My favorite season has always been spring. I love the smell of the first spring day. Kind of like God’s version of the new car smell. That fist day, and those first few weeks, of spring always create a wondrous sense of excitement and anticipation. Little kid type excitement of good things to come. During spring my mind swirls with wonderful images and feelings of going new places, meeting new people and doing new things. The sun is out! The snow is melting! The birds are chirping and the breeze is warm 🙂 I walk 3.6 miles everyday year round, and there are few things I look forward to more than walking in spring. I feel so alive and filled with hope and possibilities! Can’t help but smile at people as they walk by. Nature is busy coming out and making plans in spring. Feels more like the real New Year than January 1. Spring is filled with new energy, hope and the positiveness of good things to come. Especially this year. I live outside of Chicago and we have had more snow this year than the last ten years put together. And it’s become really old!